Just like a fine wine, Coachella seems to get better with every year. 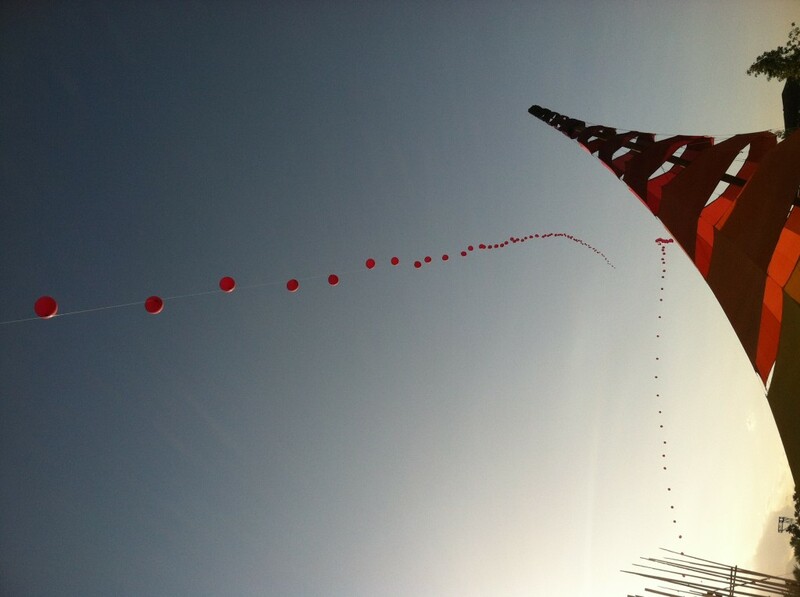 This year, 2013, we celebrated our fourth year as campers and still believe it’s the only way to go! As for changes at the festival this year, be prepared for girls/boys potties and even workers manning the lines (pay it forward and tip these people, they seriously have the worst job!) Thank you, Goldenvoice Gods! You boys are a nasty bunch and finally the girls potties reflect a much “cleaner” experience – if you can call a porta-potty “clean.” Also, be sure to peep the brand new Sahara “tent”…more of an art piece really (holy balls it’s amazing), as well as the brand new Yuma tent. We didn’t spend any time at Yuma, but whatever, it’s another stage for artists, so we’re down. As for new tips to take along with you. This year in the campgrounds they have lockers to charge your cell phones. These are worth every stinking copper penny under your couch cushions! They’re $20 a day or $45 for the weekend. We snagged two for our group and said sayonara forever to those ridiculous charging cubes! Speaking of those charging cubes, you’ll find that in Lot 8 near the General Store there are a few charging strips. Whoop, thank you Goldenvoice! ATTENTION CAMPERS: heed this warning! If the wind starts to pick up at all, take down the top of your easy up! We learned the hard way in 2012 (RIP green easy up) but in 2013 we wizened up and removed the outer shell. Super easy and super seriously important. The desert wind is a beast you don’t want to dance with. The sand storm last Sunday night left too many camping structures needlessly destroyed. If Goldenvoice warns you (and they will – you’ll see the illuminated signs), heed their warning! Have a fabulous time you Weekend 2 party people! HAPPY COACHELLA! 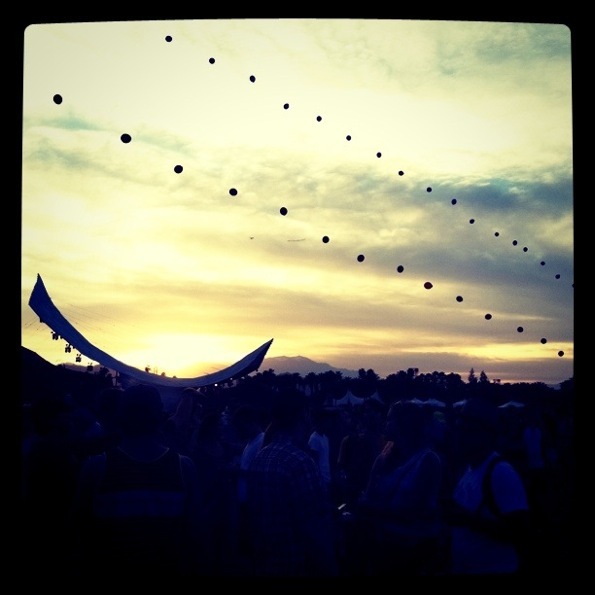 To most, Coachella isn’t just about the music but instead the overall experience from sun up to glorious sun down and beyond. This includes the not-so-luxurious living on the 10×30 snippet of grass we call home for four sweaty days. We are speaking of you, our fellow campers. Those that have no shame, those that want to take in Coachella for all it’s worth – every grain of grass, beating ray of sun, and noisy neighbor yet forever friend you’ll bond with in the desert. 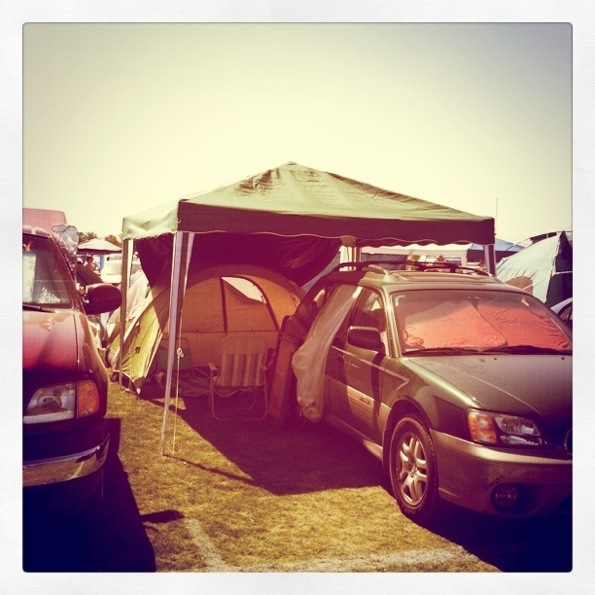 This will be our third Coachella camping experience. Walking 100 yards to crash in our tent at the end of the night instead of swerving to avoid mind-altered drivers behind the wheel or hours-plus lines of traffic is what makes camping worth it to us. My friends, we are only ten days away so in your scramble to get prepared, we’ve put together a camping checklist/survival guide to help you in your packing. * WRISTBANDS. No wristband, no entry people! You paid a grip for these – don’t forget the gold! * earplugs: best investment you’ll ever make. We credit this tip to our friend and Owl photographer, Chris Atto. Although you may plan to stay awake and party all night, three nights in a row, at some point you will need sleep and earplugs will help you catch those zzz’s. * sleep mask: the desert sun comes up early. We suggest these. * earplugs: yes more earplugs but this kind is for true ear protection. Don’t be a fool, protect your hearing so you can enjoy the quality of music well into your 90s. We use these and swear by them. * tissues: girls this is especially for you. Carry tissues with you at all times. Go buy a packet of three from Target for a buck. The last thing you want is to walk into a porta-pottie and have it be out of TP. That’ll happen. A lot. * hand sanitizer: a must! And Rite Aid sells the little bottles with little hooks so you can hang it on your belt buckle or purse. * flashlights: take a mini flashlight with you at all times. You’ll be surprised how many times you’ll use it. And you’ll be a hero to some unsuspecting fool that drops something of importance and can’t find it in the dark. * scarf: girls, if your skin is sensitive take a scarf with you to sit on the grass. You can tie it around your waist or around your purse. Towels are too big and bulky, you don’t want to lug that thing around all day. * baby wipes: yes there are showers if you’re willing to stand in line for an hour. Or three. We go through an entire package of baby wipes during the weekend because our time is precious (read: we don’t shower). We baby-wipe the hell out of our bods every morning and night, they get the job done! The first year we attended we didn’t really know what to expect and as a result over-packed to ridiculous levels… grill, hot dogs, sandwich fixings, mustard, camping coffee pot… the whole nine yards. 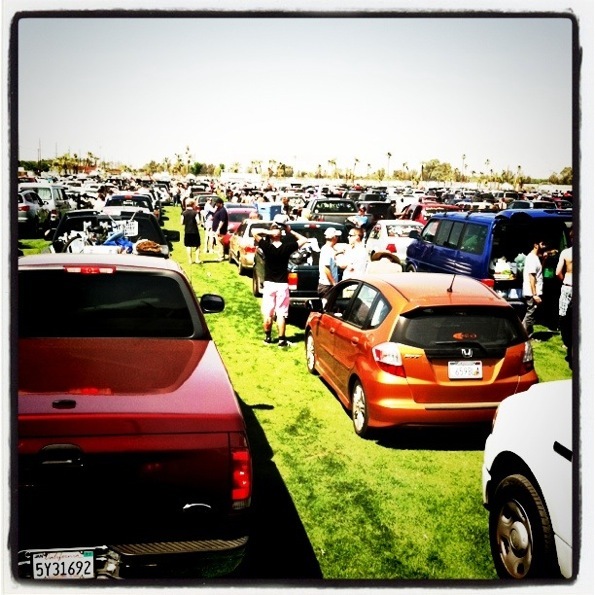 By the end of our first day (Thursday – Coachella hadn’t even technically begun!) we realized that really the only food essentials we needed to bring were breakfast, snacks, and beer. There is a plethora of food vendors at very reasonable prices to appeal to every food lover – from the pizza maven to the vegan, Goldenvoice’s got us covered. Obviously if you don’t want to spend money on food bring more but we’ve learned that the items below are all that we need for our mornings and afternoons of kickin’ it camp-side pre-Coachella. When you arrive in Indio with your Super-u loaded to the gills don’t even think that you’ll be pulling in and setting up camp right away. Nope, you’ll be waiting a good six maybe even seven or eight hours before driving to your camp spot. The vehicle in line right in front of you and right behind will most likely be your camping neighbors for the weekend so say hi, crack a beer, and begin the music bonding process. The wait is due to searches; those security dudes will be rifling through your belongings in search of whatever you’re not supposed to bring. (Glass is one of those things, our first year they tossed out a jar of jam. Seriously.) The point here is just be prepared to wait and be cool with it. We’ll all be in the same boat, there’s no point in getting your owl feathers all in a ruffle. If you’re caravaning in with other vehicles, try to prevent your cars from getting separated. Get in line together, one right after the other. Like I said, when you eventually drive into your camping spot the cars in front of you and behind you will be your neighbors, so keep it together if you plan to party with your comrades. 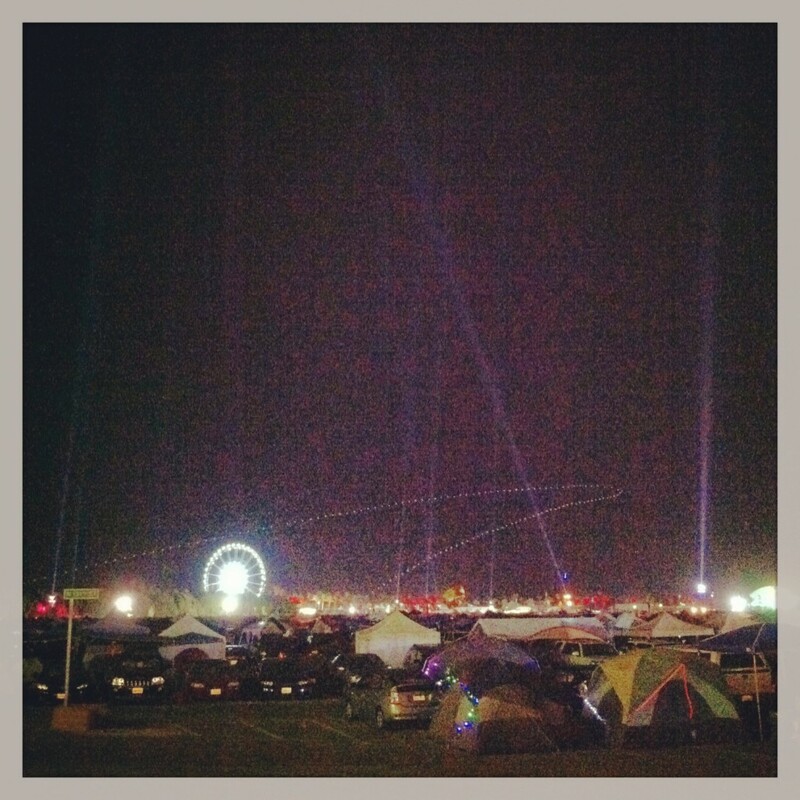 Explore the campground! Goldenvoice puts in a lot of effort to make us super comfy and extra special. A few years back they created a roller rink but it came back last year as a make-shift yoga studio (can’t imagine it had anything to do with the injuries – that rink was insane). 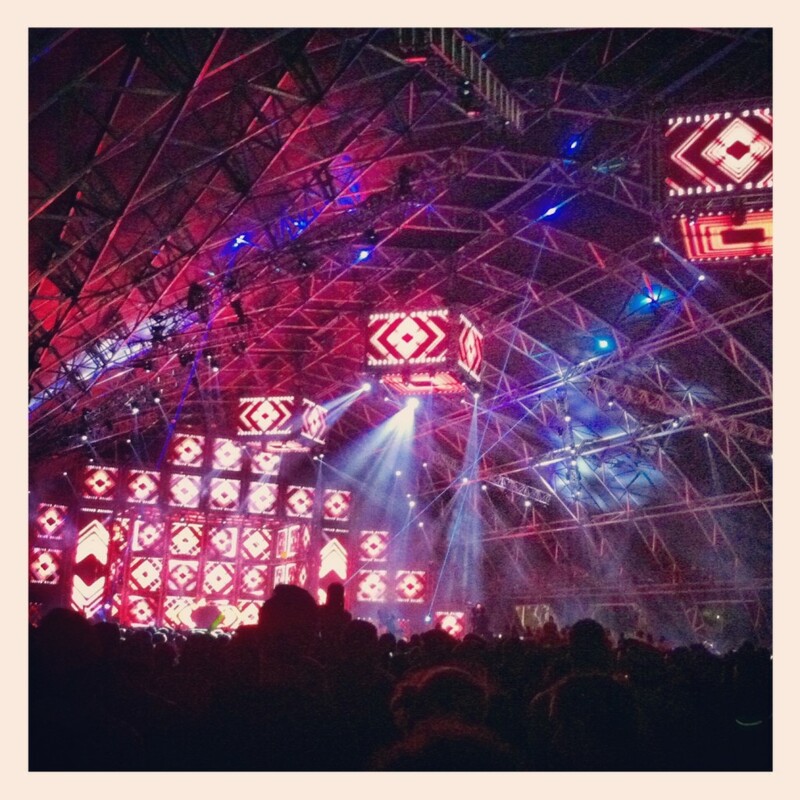 This year for campers Coachella will have a silent dance party (check this out – so much fun! ), dodgeball, pinball, and a movie screening of RE:GENERATION. A farmer’s market is on site along with a general store just in case your air mattress takes a digger mid-festival. Face-painting is usually available too as well as flea-market setups to add to your Coachella fashion sense. Go see your favorite bands yes, but explore your home away from home too! Although being a Coachella camper two years in a row makes us feel like professionals we’re sure we’re forgetting something! If you have a tip to share with our readers, add it to the comments below. Finally, if you see ths OWL mylar balloon at the campground, stop by, say hi, and get your own Owl Mag sticker! Happy Coachella!